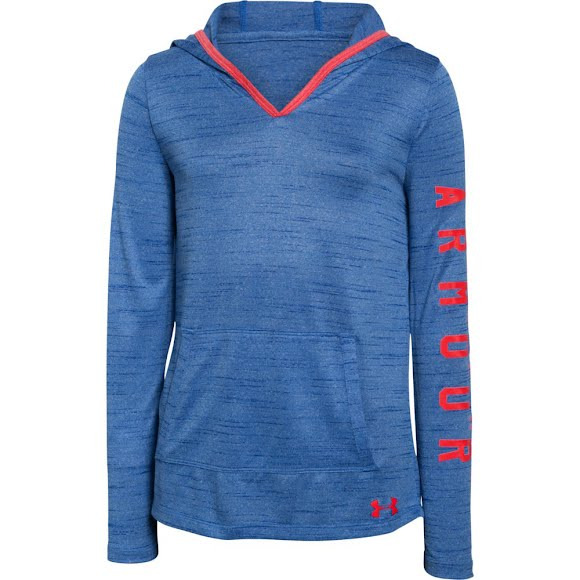 A loose and generous more relaxed fit allows this Under Armour Girl's Youth UA Tech™ Hoodie to move when you move. Lightweight stretch construction improves mobility for full range of motion, and UA's Moisture Transport System wicks sweat to keep you dry and light when you get active. A loose and generous more relaxed fit allows this Under Armour Girl&apos;s Youth UA Tech™ Hoodie to move when you move. Lightweight stretch construction improves mobility for full range of motion, and UA&apos;s Moisture Transport System wicks sweat to keep you dry and light when you get active. UA Tech material delivers lightweight moisture wicking performance with a cotton-like feel. The ultimate replacement for your old cotton T.
UnderArmour&apos;s revolutionary scent technology that combines synthetic Zeolites with the anti-microbial power of silver to trap and supress the growth of odor, helping to keep you undetected.